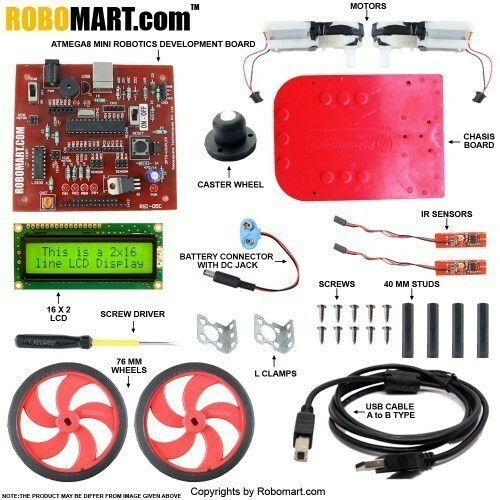 The Robomart White line Follower Robot is a DIY (Do It Yourself) robot kit. 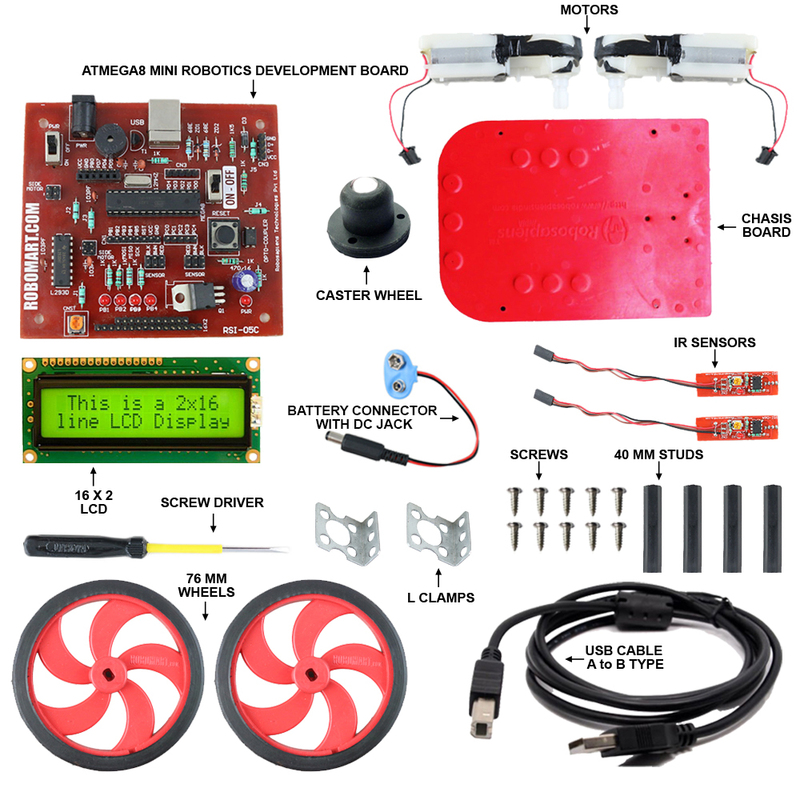 This kit is specially design for college student, School students and those who want to explore the world of robotics but do not know where to start. 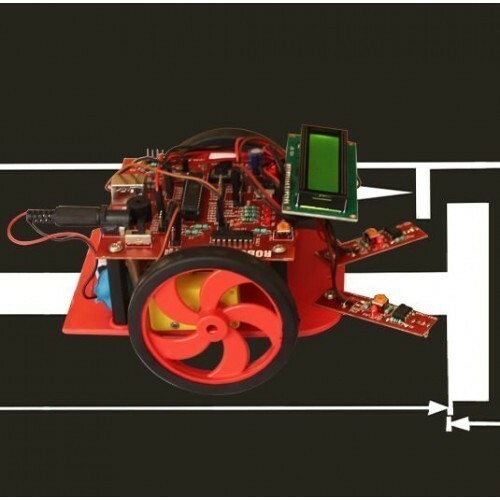 White line follower is an Autonomous Robot which follows white line on black surface. The robot finds its path with the help of IR Sensors. Robot body is made up of high quality durable plastic, which provides sufficient strength to robot hold the structure of the robot. 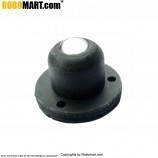 Robomart White Line Follower Robot uses high quality plastic chassis to hold the body of robot. White Line follower Robot includes 2 wheels of 76mm of diameter. It also includes 4 supporting studs to hold the electronic circuitry of robot. One ball caster wheels as a supporting structure for robot body. 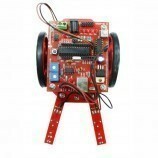 Robomart White Line Follower Robot uses single sided PCB design which reduces the complexity of the circuit. Board is designed to work on 7V to 15V of Power supply. 4 Bit Leds to monitor the status of I/O Ports. Onboard facility of IR sensors. Onboard L293D (H-Bridge) motor driver is also available. It gives you onboard facility of motor interfacing. Onboard facility of 16 x 2 LCD interfacing. Any project based on AVR microcontroller. 1 X Atmega8 mini Robotics Development Board. 1 X USB Cable A to B Type. 1 X 16 x 2 Character LCD Display. 1 X Robosapiens Chassis Board V4.0. 1 X Robosapiens Caster Wheel. 1 X IR Based Digital Color Sensor Black and White. 4 X 40 MM Stud. 2 X Robosapiens 76MM Wheels. 2 X 300 RPM Rectangle Single Shaft Plastic Gear BO. 1 X Screw Pack Medium Size. Also Searched as : White line follower, AVR based white line follower.